For those who make approvals, processing of "Sending back" is annoying. Instead of reading the contents of an application and giving approval on it without saying anything (It will take 3 minutes), he or she must write a "reason for sending back" which costs 10 more minutes. (You don't dare to reject without a word, do you?) And if that was for "Point out simple mistake or typo", and if that occurred five, ten times a day, it may make you depressed. And of course, the time to get home will be delayed by 1 hour and 2 hours. Mistake in "Date", "Amount", or "Customer name". The applicants don't dare to make mistake on purpose. Basically, we would like to consider how to lower occurrence rate by "improving the Business Process Definition". Episode 536: The Number of Times of Sending-Back is also Valuable Issue Data! When considering the optimization of the Business Process, in two categories of "master type data" and "transaction type data", analyze the latter. More specifically, I will analyze "transaction type data" as an occurrence record such as "details of estimate No. 123" and "details of invoice No. 123", instead of "master type data" such as "merchandise master" or "customer master". "FooBar Issue Details" flowing in the Workflow system is data that is accumulated every time an Issue is started, and it is all "transaction type data". However, not all transaction information is stored in the "Data Items" defined within the Business Process. 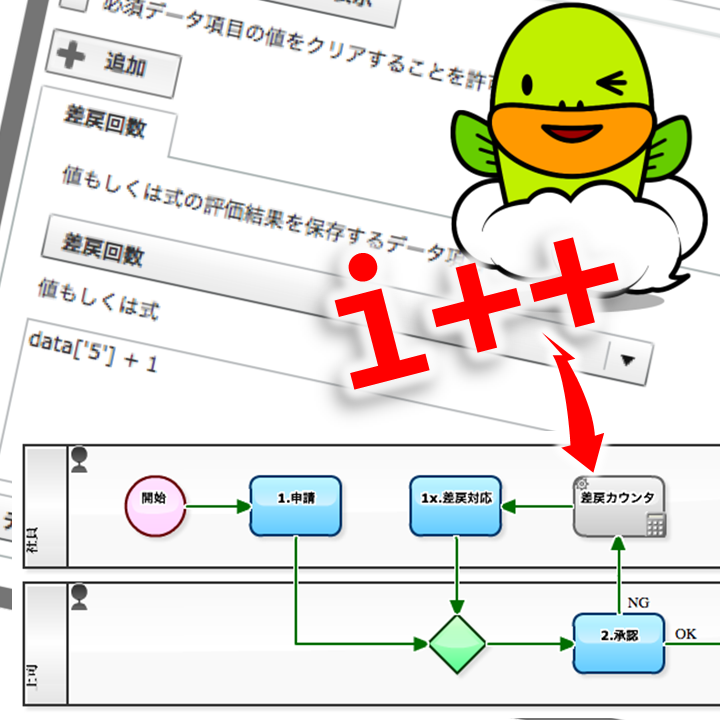 For example, "information held by the system side" (log of each case) such as "time reached at the 2nd Step" and "the number of times it has revolved around the loop structure" are not stored in an exportable form. 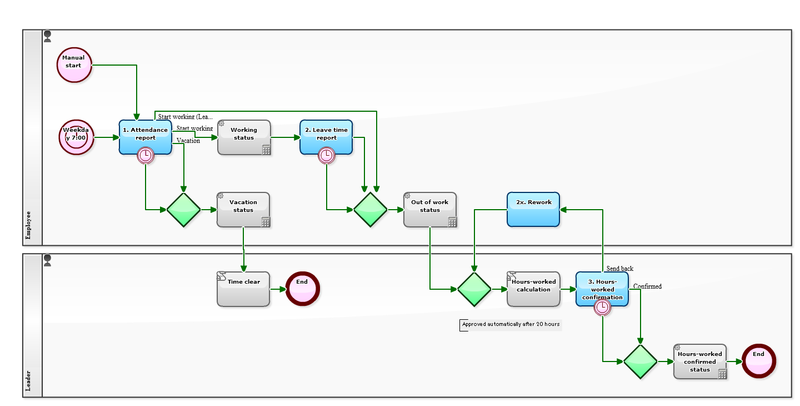 In the following workflow, it is configured "the number of times sent back" (number of times it has circled around the loop structure), that is "information held on the system side", to be automatically imported into "Data Item" which is on the Business Process side. "How can I get used to the system?" Considering only the investment effect, it is effective to systemize "existing inefficient work". If there is a work being done on "paper base", you should consider systematization of that work. If systemization is applied to "core business" such as order receiving, shipping and billing, "effect" will be more than "investment" relatively easily. 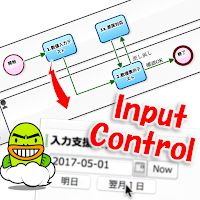 However, there are also risks that you can not get "effects" at all, if in a situation which is 1) administrator: insufficient system setting skill, 2) general worker: insufficient computer literacy. It is like forcing computer graphic to an oil painting artist. "I may worsen business efficiency introducing a system." If you have such anxiety, it may be better to start a trial run first with "a small operation" (a work to be done every day if possible). When promoting paperless and teleworking, introduction of "workflow system" will be considered. 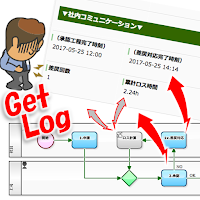 It is a very annoying question that to which operation to apply for the first, but for example, the following small workflow called "work time report" could be a powerful candidate. It is definitely good because "inevitably to use every day". Naturally you will understand what you need and what you can omit, by actually trying "entering data", and "approving on it". And various ideas will be born through the usage. 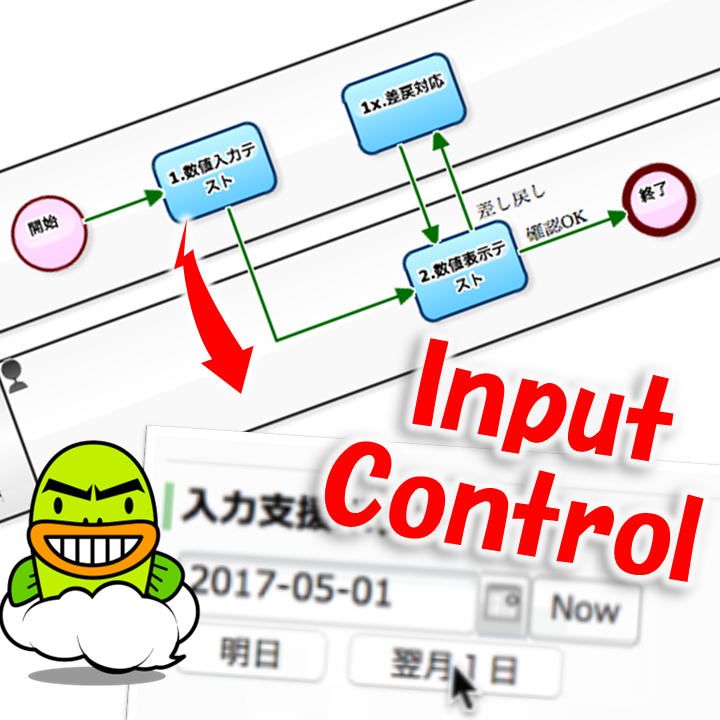 In the workflow system, "input errors" in human steps can not be avoided. Of course, it may be careless of the person in charge who made mistake. Alternatively, if you were highly concentrated, you could enter without making mistakes during that moment. However, I have to say it is rather difficult to keep on doing 100 cases or 1000 without mistakes. If you have numerous input items, it may be difficult even for 5 or 10 cases without mistakes. If it is possible to set "Initial value" as a function of the system, you should actively use it. 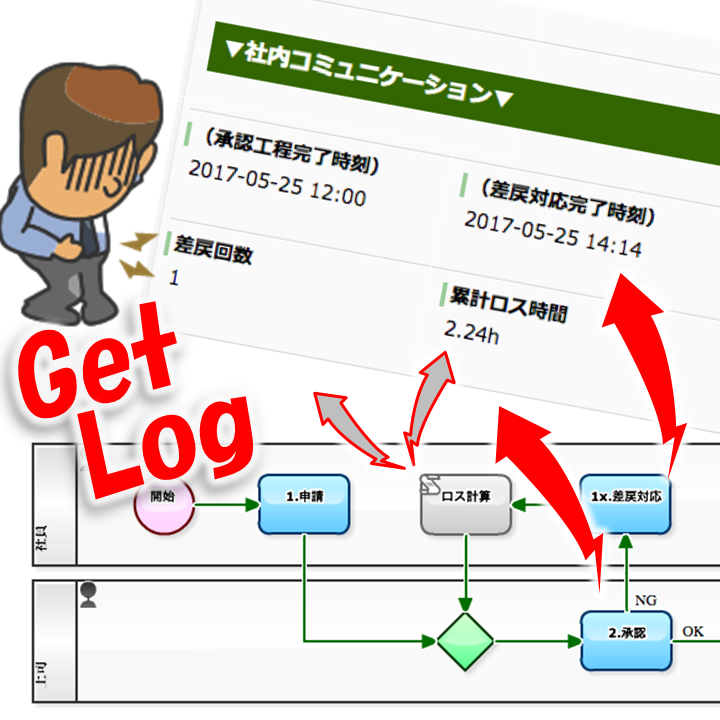 In the Cloud-based workflow, "Questetra BPM Suite", you can set "Three days after today" and "last day of the next month" as the initial value of Date data items. Although it is ineffective in the case of "data duplication", it is a very effective method when flowing new Issue data to the business process. 1200 is input which is a numerical value one digit less of 12000. Enter the quantity in the place where the unit price to be entered. 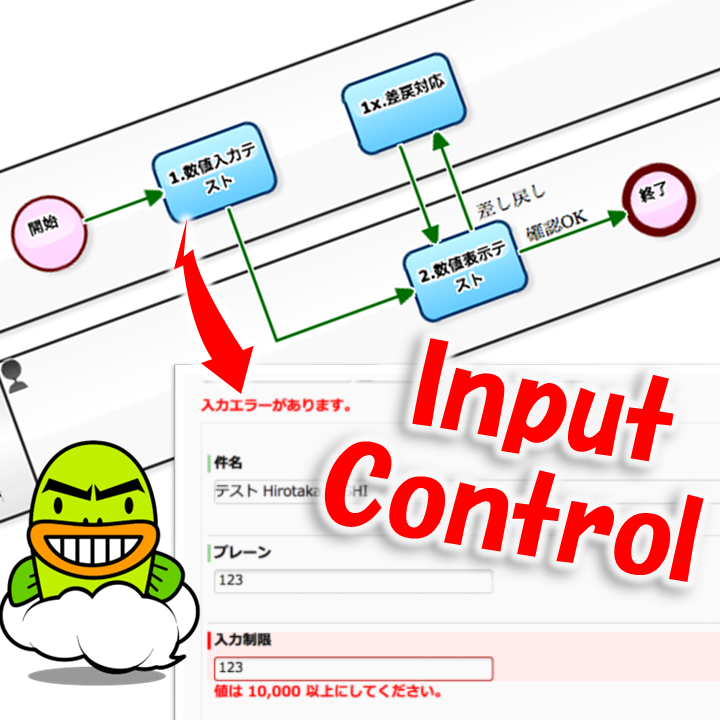 If it is possible to set "limitation to the input value" as a function of the system, you should actively use it. 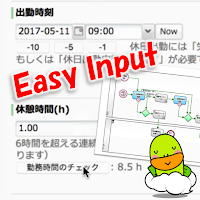 In the Cloud-based workflow, "Questetra BPM Suite", you can set "maximum value" and "minimum value" for Numeric data items. 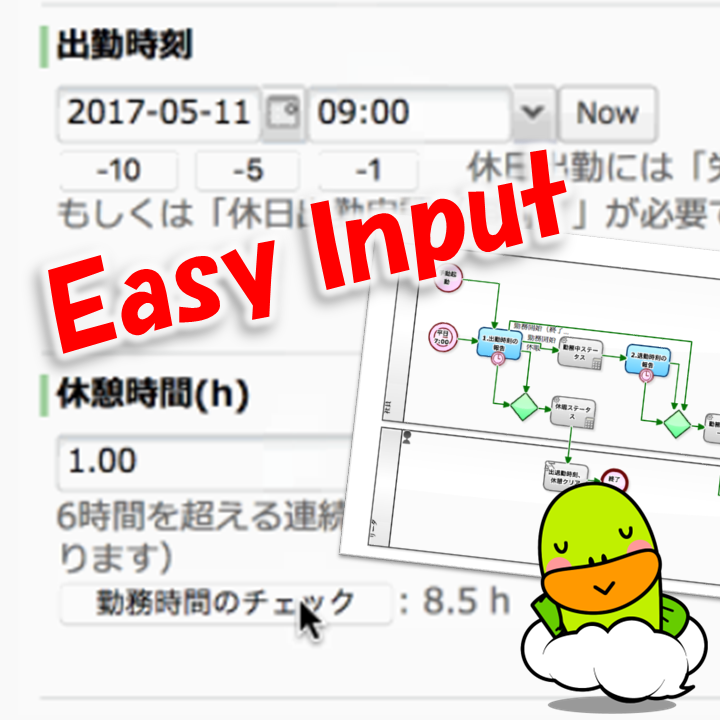 If you have limited the input value of "unit price" to "10,000 JPY - 100,000 JPY", the occurrence rate of incorrect input "1200 JPY" can be reduced to zero by that input restriction.